I got to enjoy one of my favorite things while I was gone this weekend ... cable! Growing up and even now my parents have never had cable and Kevin is the same way so we haven't seen the need to get it. Plus it's darn expensive! One of my favorite things about going to a hotel or someone's house with cable is watching cooking shows. 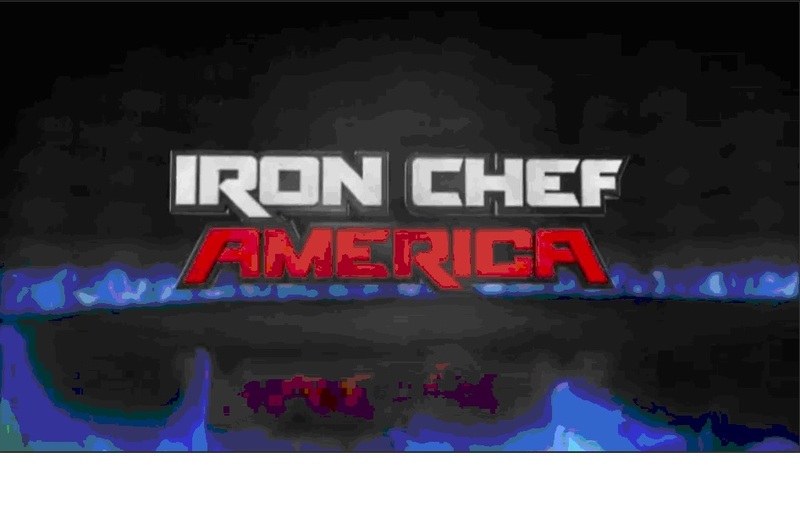 Iron Chef is probably the most intense competition show. The whole premise of the show is a professional cook comes into Kitchen Stadium and challenges one of the reigning Iron Chef's, Bobby Flay, Mario Batali, Masaharu Morimoto, Cat Cora, Jose Garces, Michael Symon, Marc Forgione and Geoffrey Zakarian. I would have to say my favorite Iron Chef overall is Cat Cora. We got to eat at her restaurant on our honeymoon ... it was amazing! I really love to watch Morimoto. He just does the most amazing things, he cooks and plates his dishes in ways I've never seen! One can't talk about Iron Chef without talking about Alton Brown. Not gonna lie I'm not a huge fan of his actual cooking show but I really love him as a color commentator. His commentary will make you laugh more than you're probably supposed to during a cooking show, especially one so intense and he is always bringing up some sort of tidbit that you would never know about the food. As I write this I'm actually going through the new posted episodes of Chopped. This one took me forever to actually start watching, I'm not sure why I thought I was too cool for Chopped but now I'm an addict. I'm a big fan of seeing the four different chef's do completely different things with the mystery boxes. It's just fascinating how four chefs sometimes with similar backgrounds will do crazy things. The mystery boxes themselves are so educational sometimes. Like today's episode, I had no clue what umeboshi was or how to spell it before but now I know what it is and how I can use it if I'm ever given a mystery box including them, eel and something else! I know this one is almost a cop out since there really isn't much cooking. I'm always into seeing different places and maybe someday I will get to actually visit some of them. So for now I enjoy watching Guy Fieri eating his way around the country. Some of the items that these places serve up are just so crazy. What's your favorite cooking show that I need to check out? I love Chopped. It makes me nervous in a good way. I love Barefoot Contessa too.